Your Savannah dentist wants to save your health now and in the future with our sleep apnea treatments. By scheduling a consultation with Dr. Cooper for sleep disordered breathing (snoring, airway resistance, apnea), we can evaluate and help you before your symptoms get worst. Is Sleep Apnea Taking Over Your Life? Say "good night" to that awful snore! Have mood swings during the day. Are having difficulty losing weight. Cannot concentrate or remember things clearly. 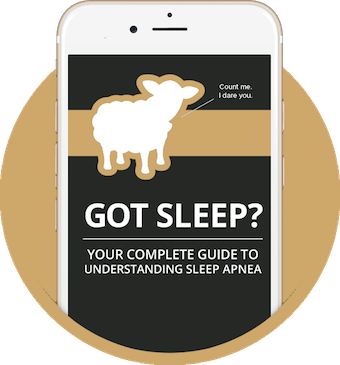 Download our FREE sleep apnea eBook in just a few clicks to find out if sleep apnea treatment is the solution for you! Contact our sleep apnea expert, Dr. Cooper, in Savannah to get the relief you need.